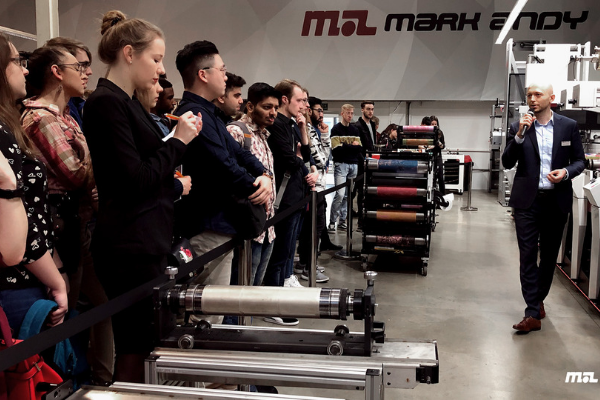 Mark Andy, DuPont Advanced Printing, and tesa tape host students from five universities at Mark Andy’s European Headquarters. 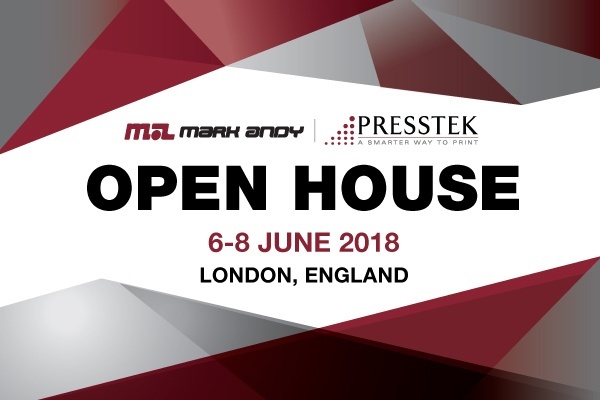 Mark Andy reports record turnout and a press sale after the latest stop on its Digital One Roadshow series. 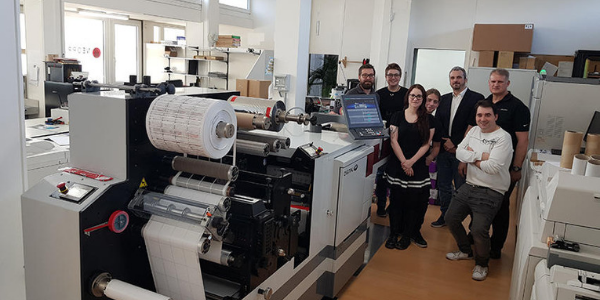 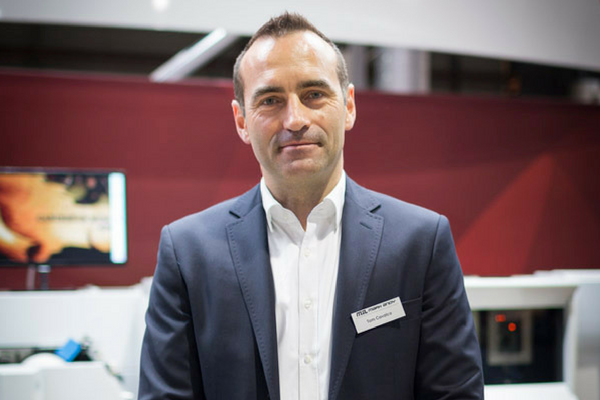 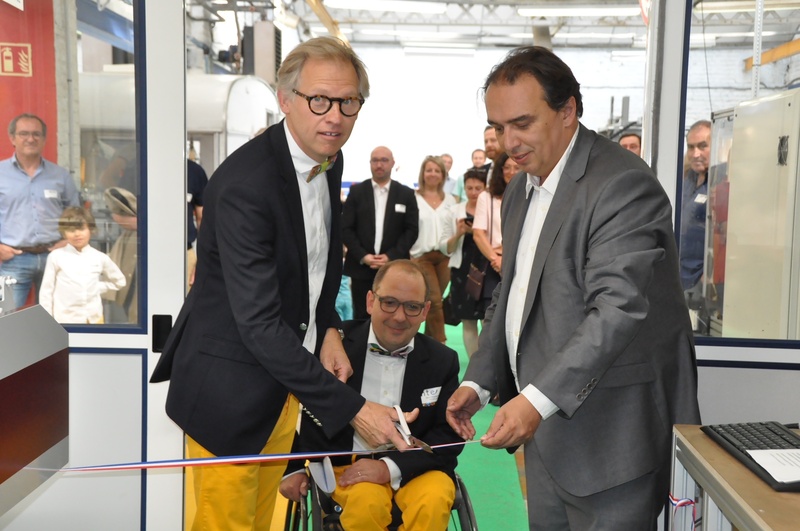 Neoprint, the family-owned digital print business based in Morges near Lausanne has installed a Mark Andy Digital One press to boost its capacity for short to medium run high quality labels. 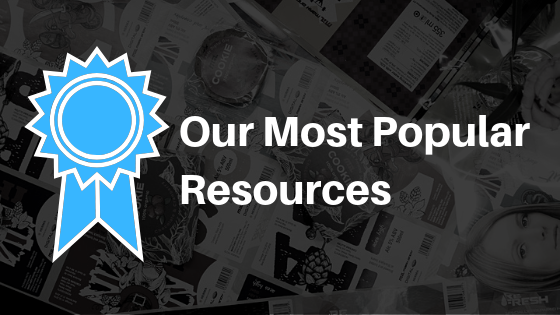 What a year! 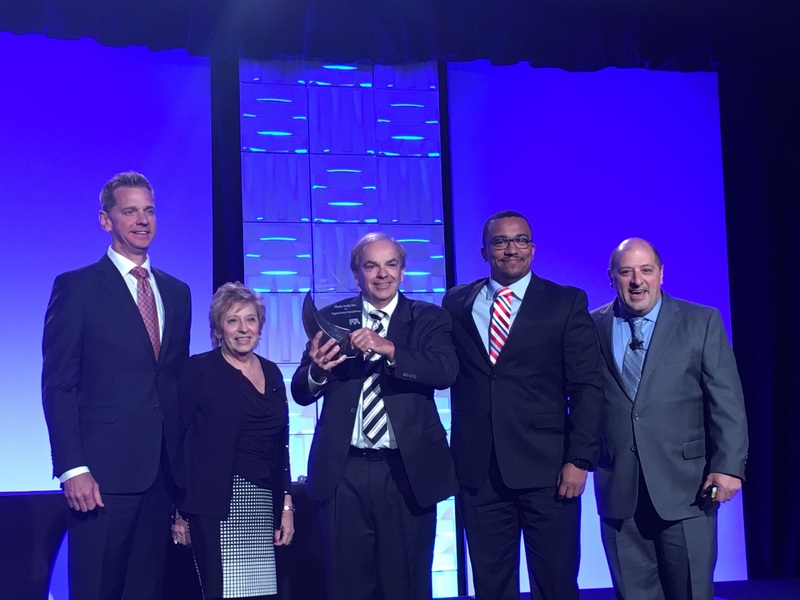 2018 has been one for the books. 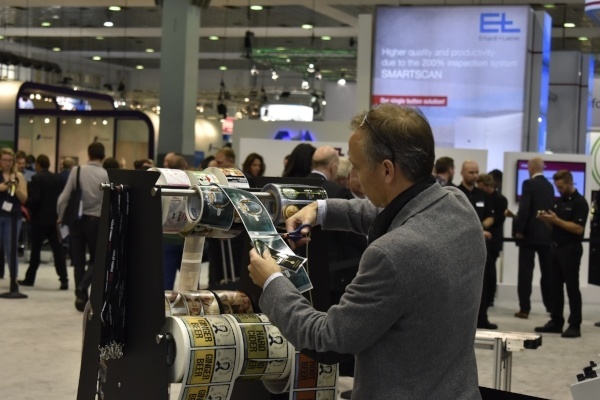 We saw record attendance and sales at Labelexpo Americas. 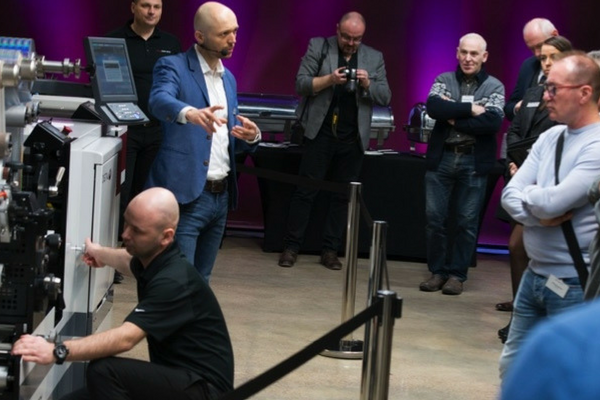 We trekked across the United States to host Digital One Roadshows. 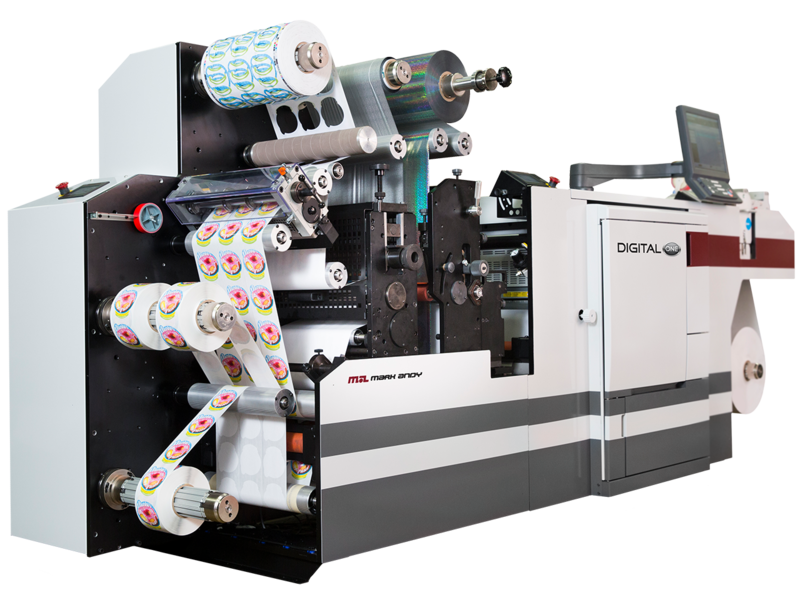 Our product team launched many new products to market, including Digital Series HD and the three new Performance Series models. 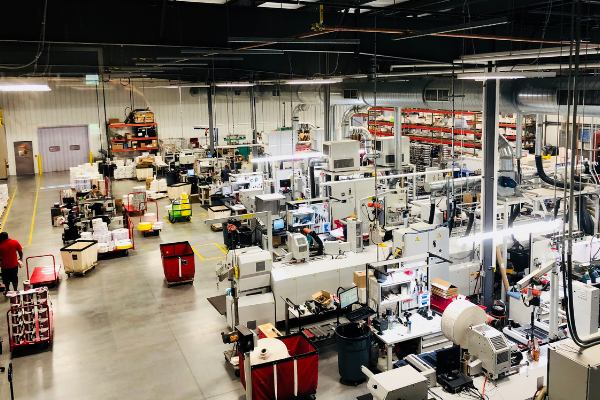 It’s almost 2019, and that said, every company knows they need advanced capability to serve the market. 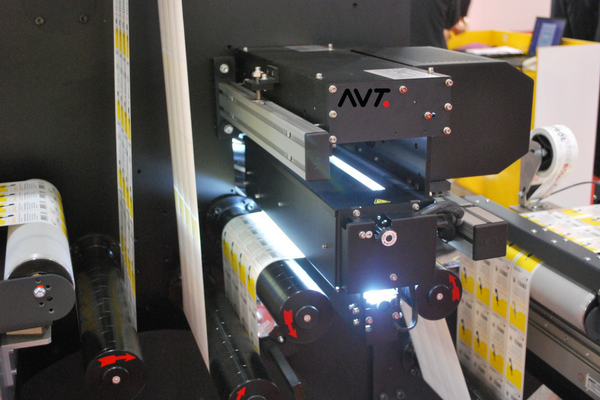 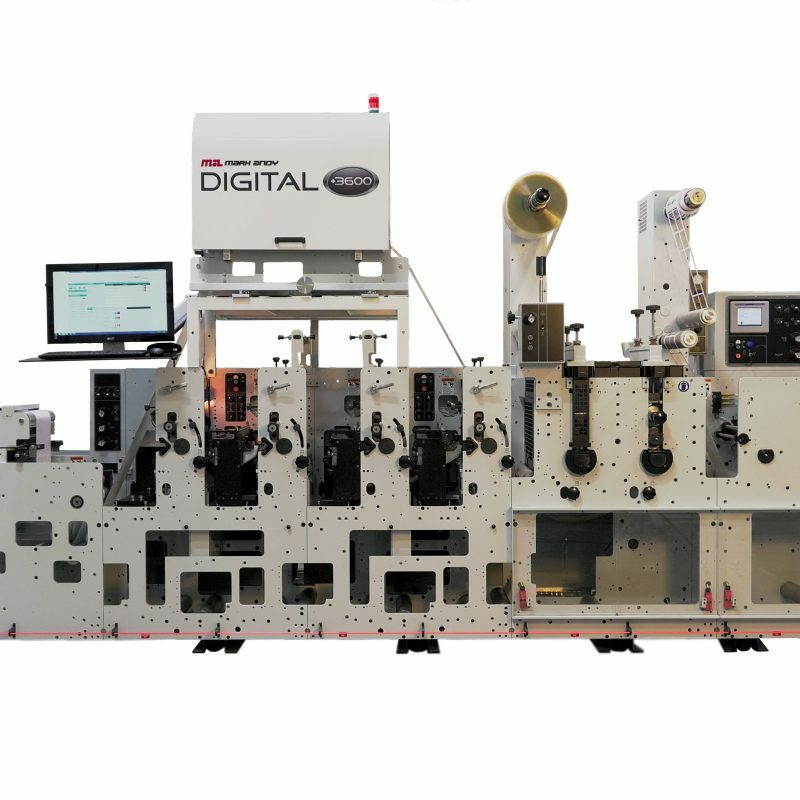 More often than not, this comes in the form of digital production equipment for labels and packaging. 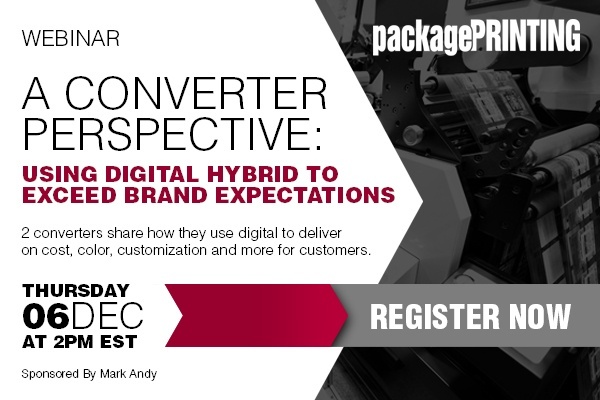 Didn't get the chance to tune into packagePRINTING's webinar for converters? 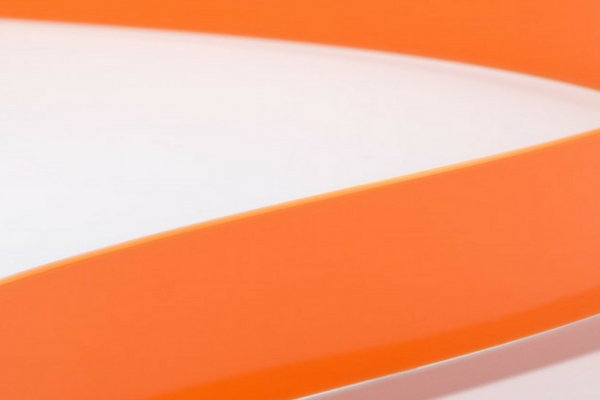 Don't worry - we have the recap, as told by Twitter, below. 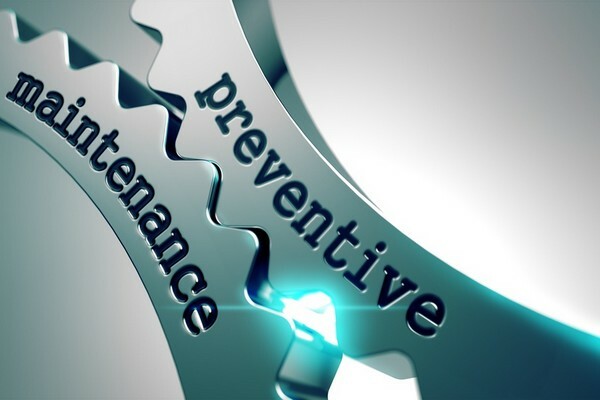 Most operators and managers are concerned with efficiency. 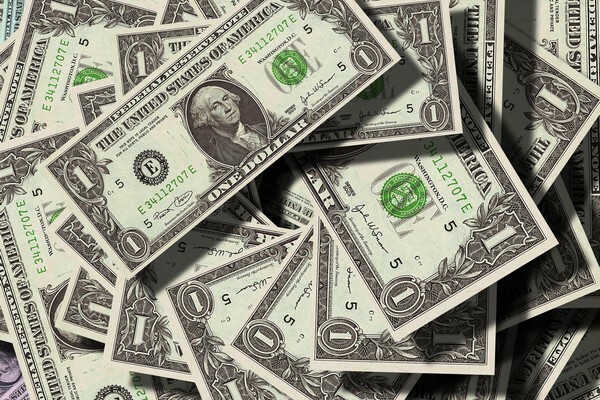 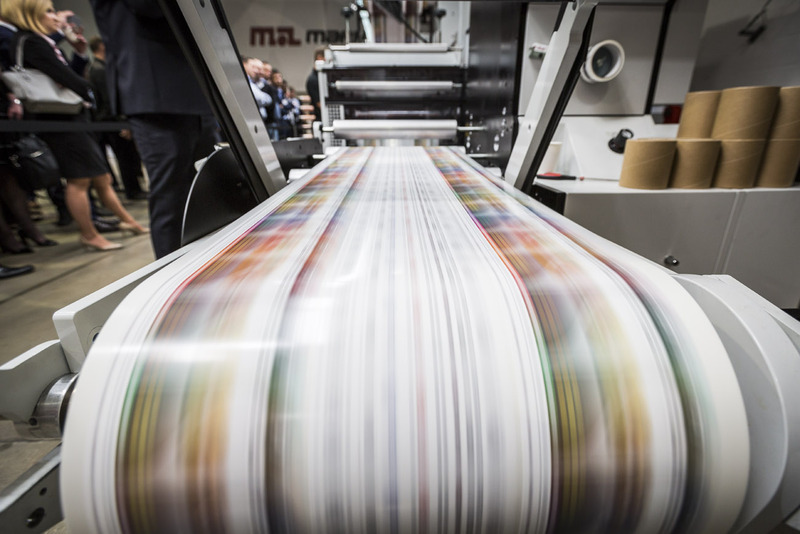 But, despite heroic efforts at creating efficient processes, we still hear reports of profits struggling to outpace costs. 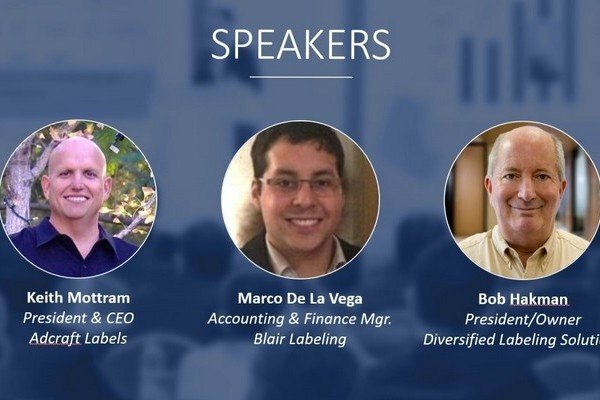 A Mark Andy sponsored webinar will be held December 6th at 2 PM EST. 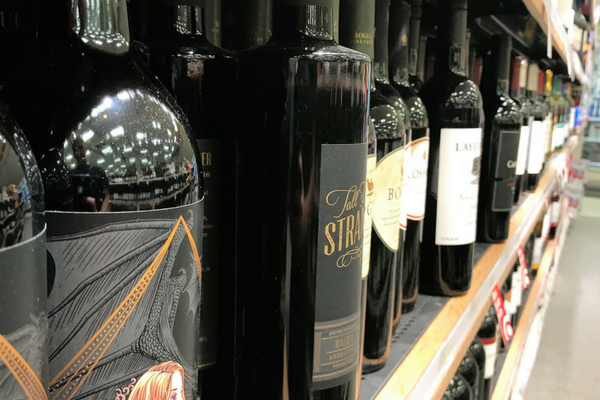 With fall seasonal goods being replaced with peppermint and eggnog winter variations, it’s a reminder that 2018 is coming to a close. 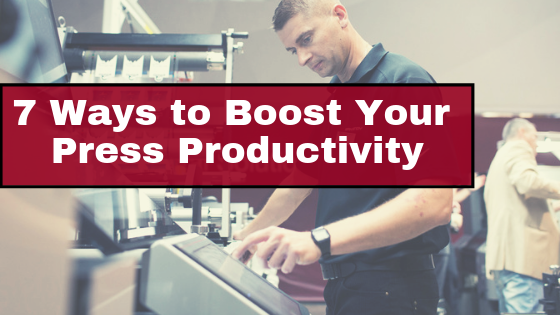 Is your business looking to increase productivity, gain a competitive advantage, or expand into new markets? 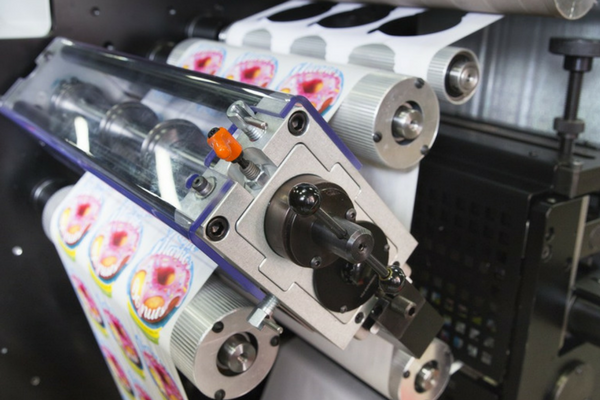 Advantage Label & Packaging Inc. is a long-time force in the label industry. 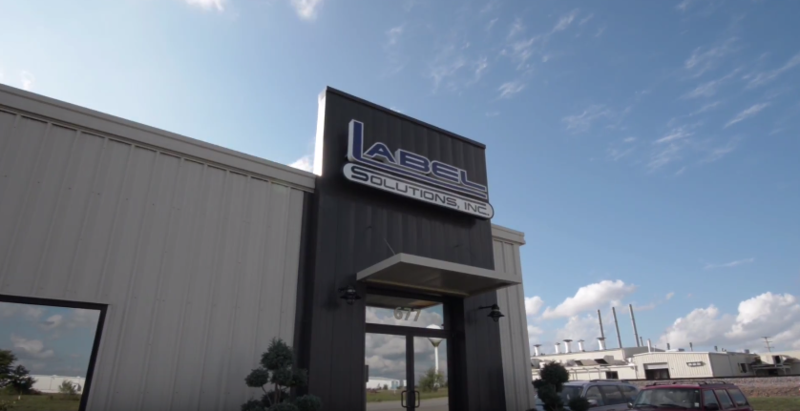 The business, based out of Grand Rapids, Michigan, employs 52 individuals and serves a variety of traditional and specialty market segments within the label and packaging industry. 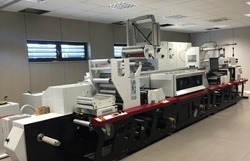 For many years we have been the leading manufacturer of narrow web flexo presses. 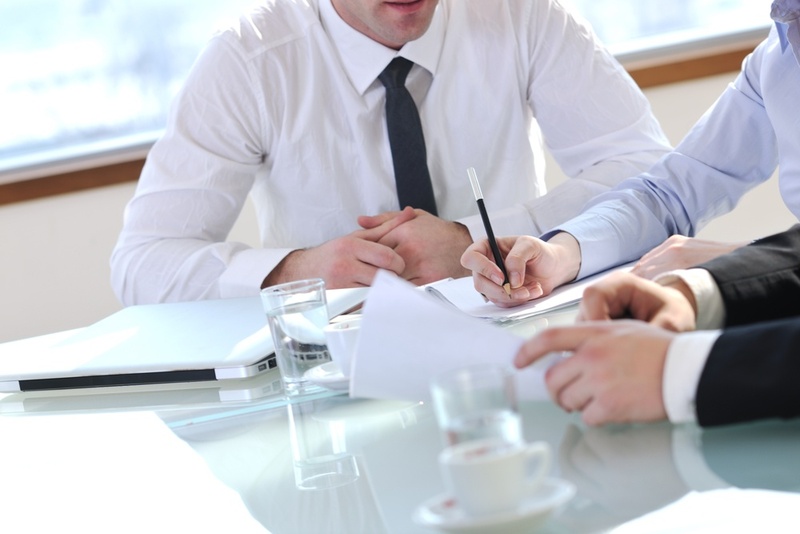 Subsequently we have enjoyed a majority share of the North American market. 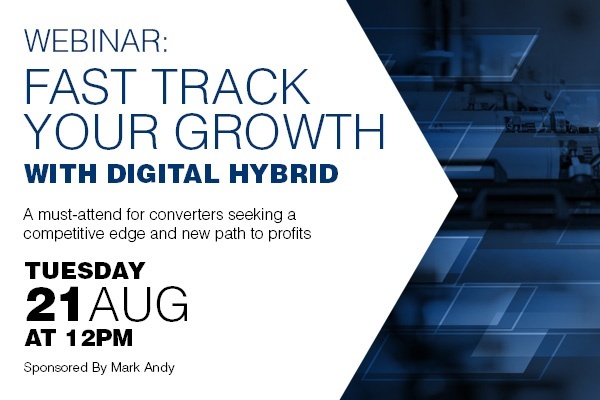 Mark Andy is excited to announce an upcoming webinar with Label & Narrow Web Tuesday, August 21st 2018 at 12:00 PM Central. 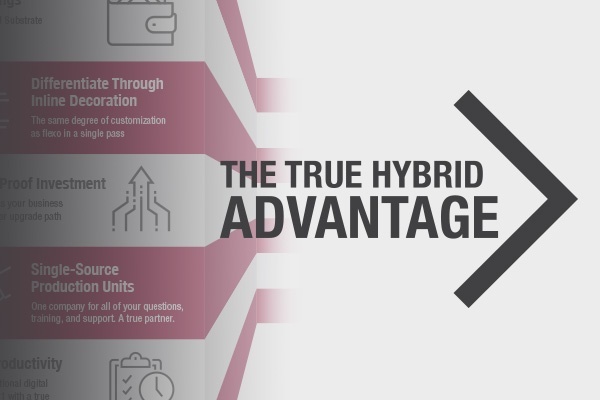 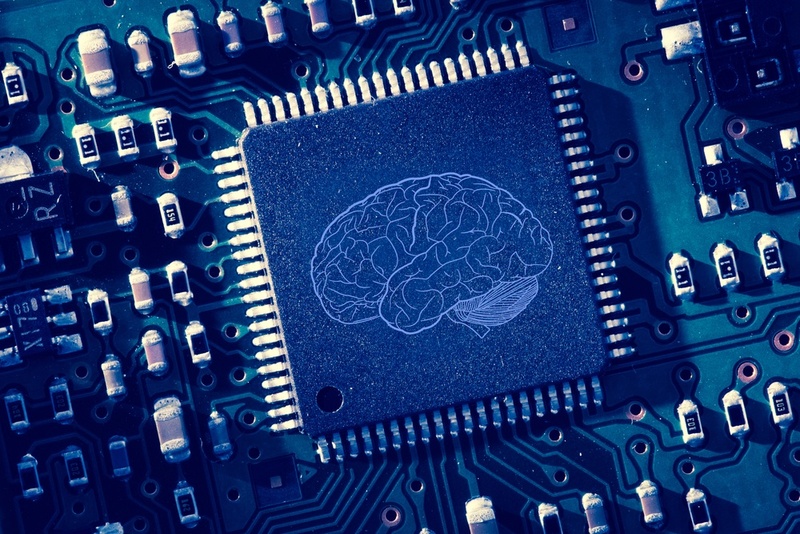 Many converters are making the shift to true hybrid due to the clear advantages of the process.Known as one of the biggest buzzwords in the industry, True Hybrid is here to stay. 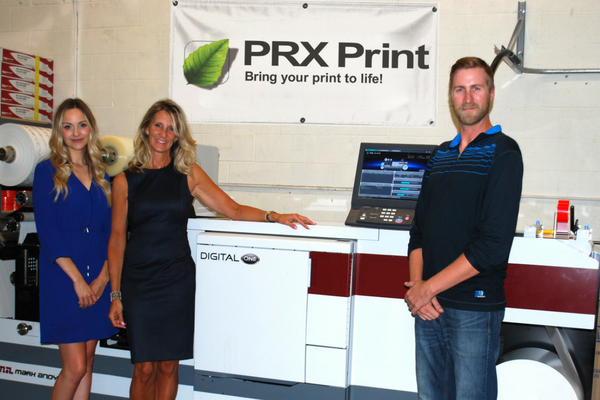 Mark Andy has been enjoying remarkable success with sales of Digital One. 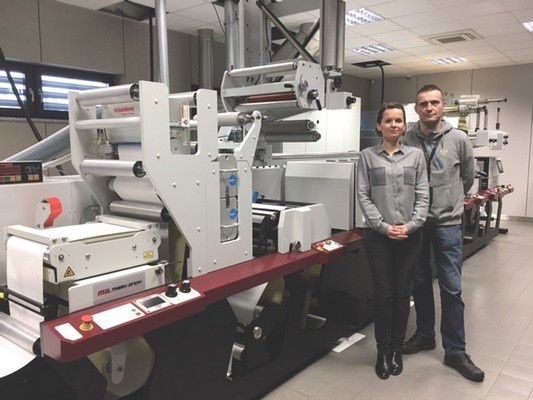 One of the latest installs and first in France is at Nord Techniques Etiquetage (NTE). 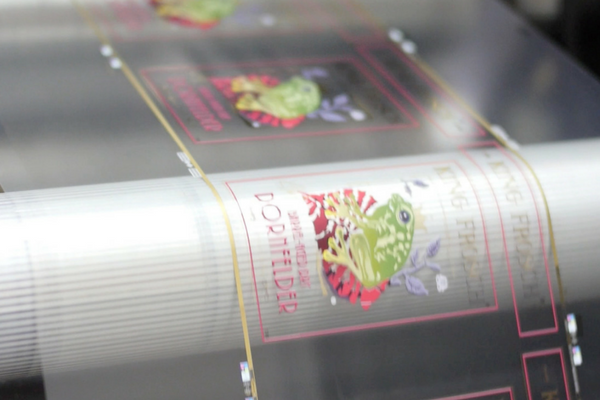 Digital printing has been a popular topic of discussion for labels and packaging over the last decade. 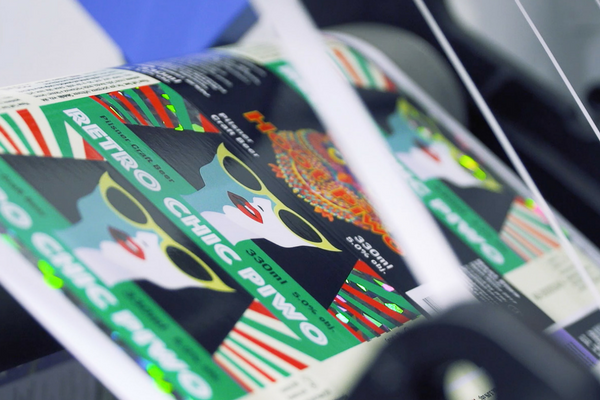 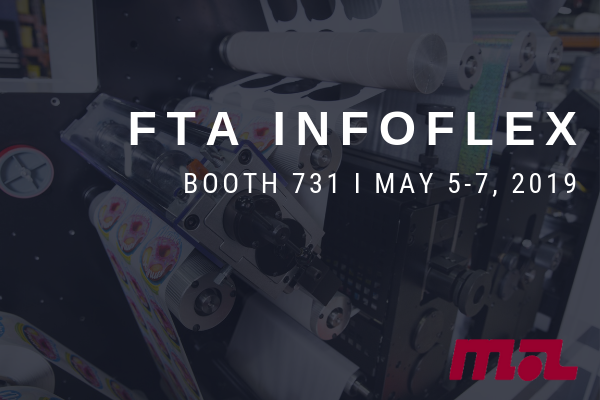 Historically an industry dominated by offset and flexography, the narrow web label market is realizing a shift toward new production methods, those being digital and digital hybrid workflows. 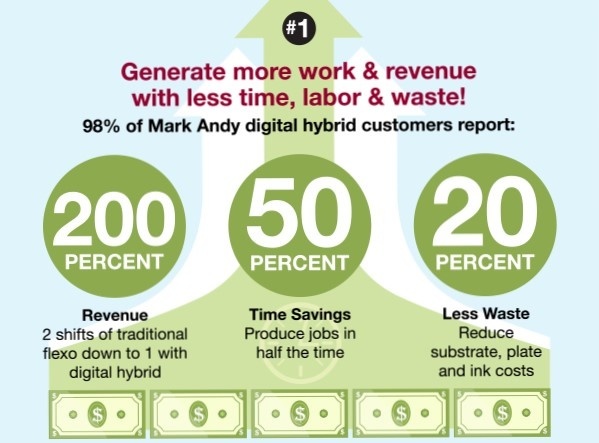 Mark Andy is proud to announce a suite of enhancements to our Digital Series platform. 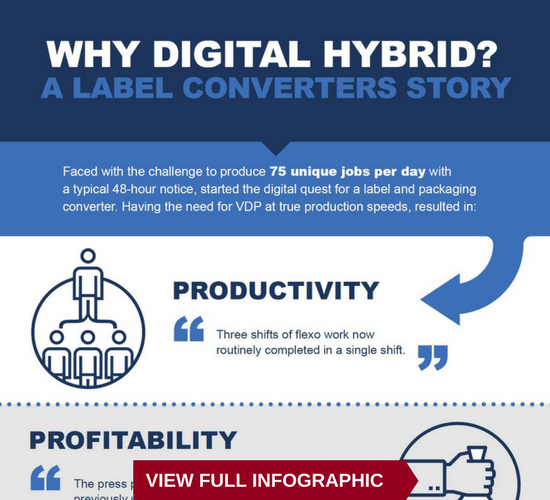 The production-class digital solution has been reimagined to bring greater levels of productivity and profitability to the modern converter. 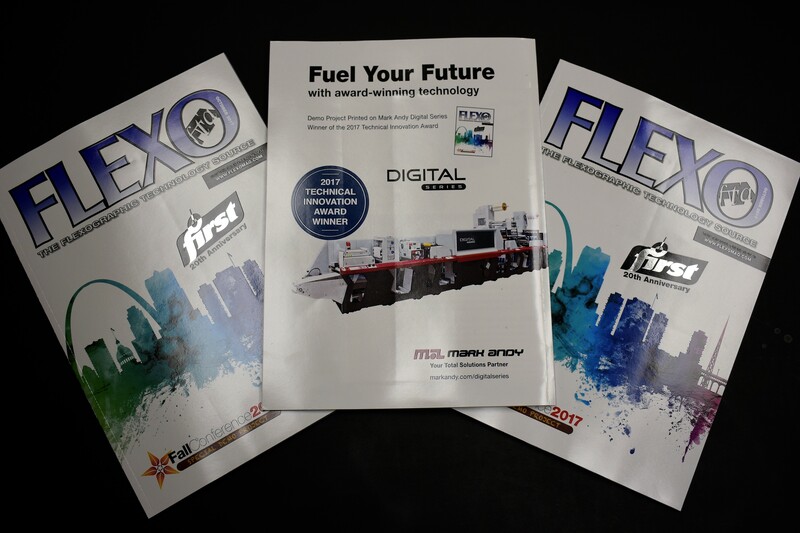 Christine Duggan of Flexo Concepts dives into what it means to be hybrid- both for a label press and the consumables that fuel it. 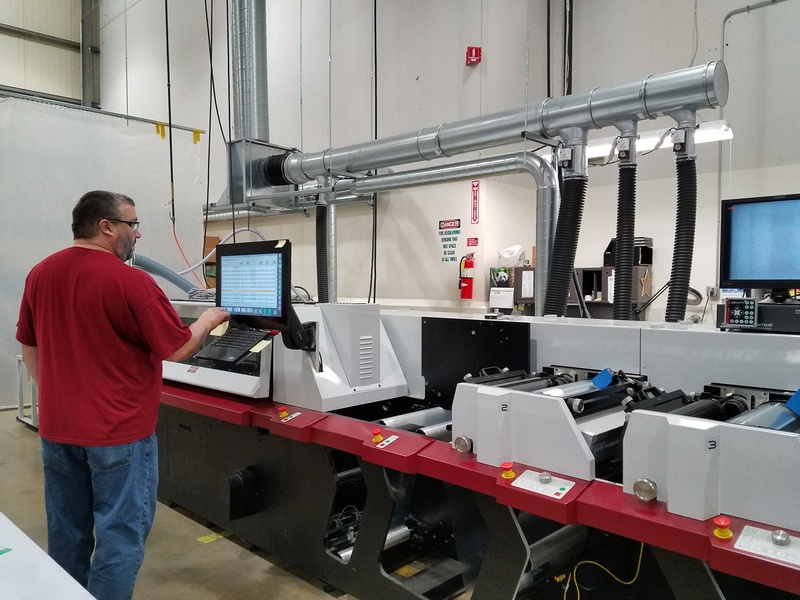 Market shifts are pushing converters to integrate new technologies into the workplace, making it increasingly common to have multiple production processes utilized in a single pressroom. 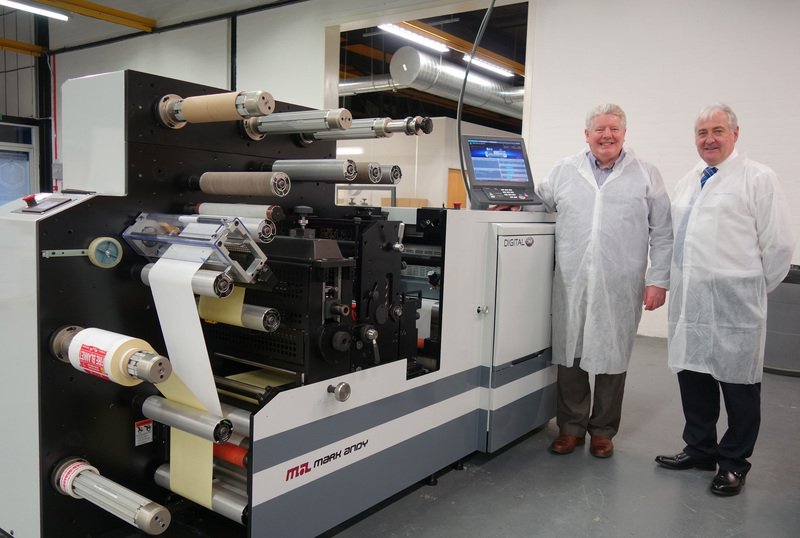 One of the UK’s leading converter of pharmaceutical, healthcare, and medical labels has chosen a Mark Andy Digital One press as part of a major investment program in technology and a new extension at its headquarters in Irvine, Scotland. 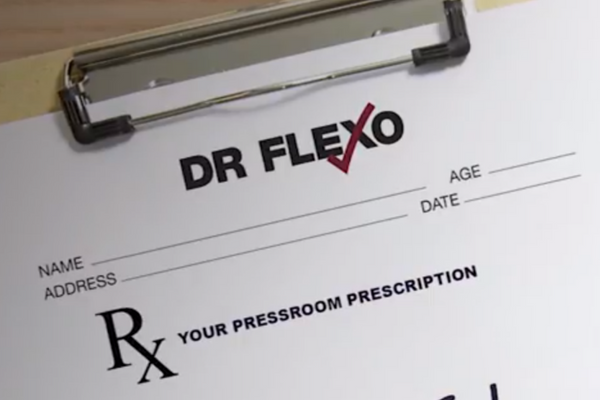 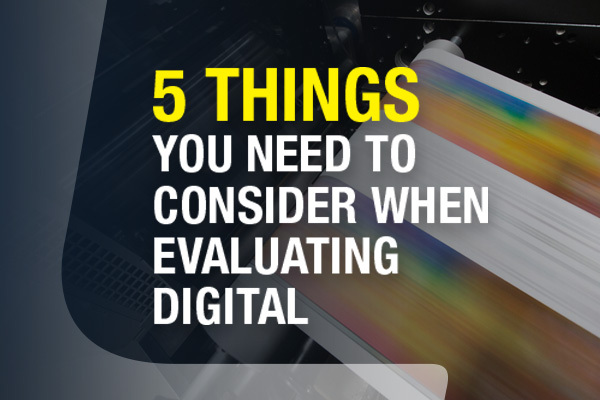 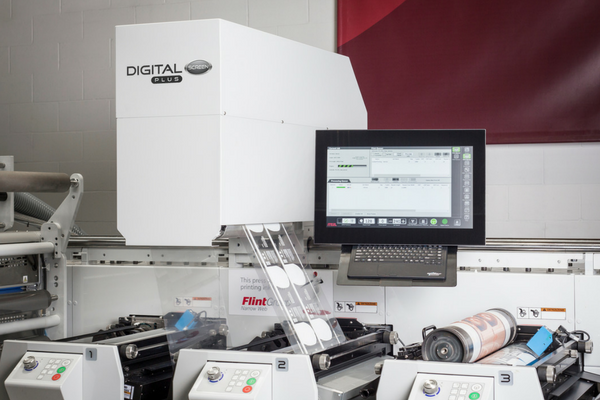 If the bulk of your expertise lies with flexo equipment, adding digital to your operation may seem like a daunting task. 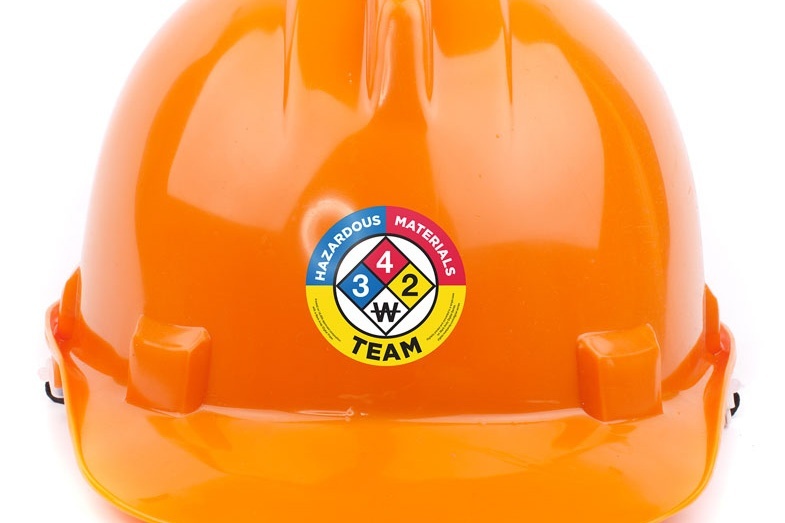 Have no fear! 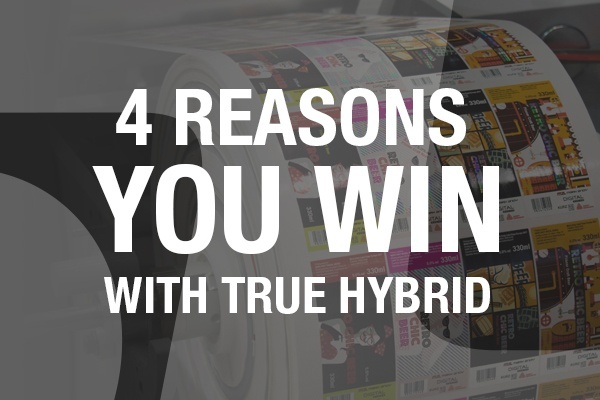 Digital hybrid is making waves in the print market and driving serious levels of profitability and success for current users. 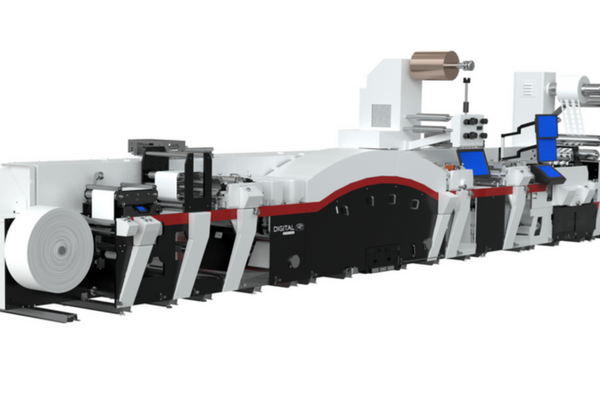 Mark Andy is proud to announce the recent sale of a Mark Andy Digital Series to Color Label. 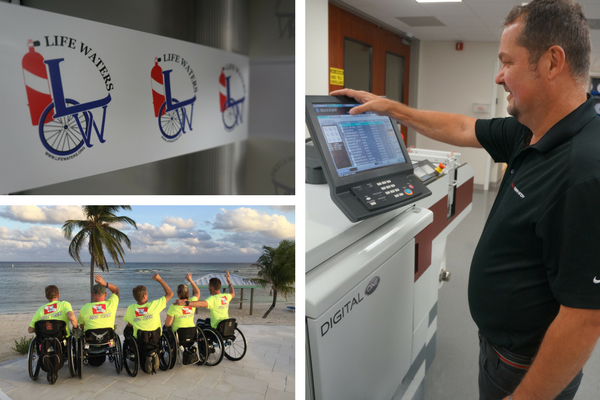 September 2017 was an important milestone for Mark Andy, marking one year since the Digital One was released into the market. 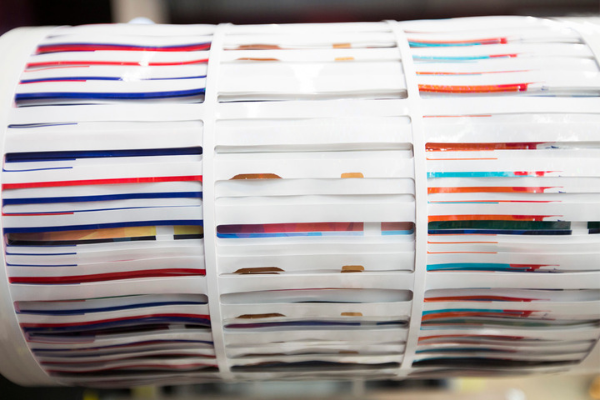 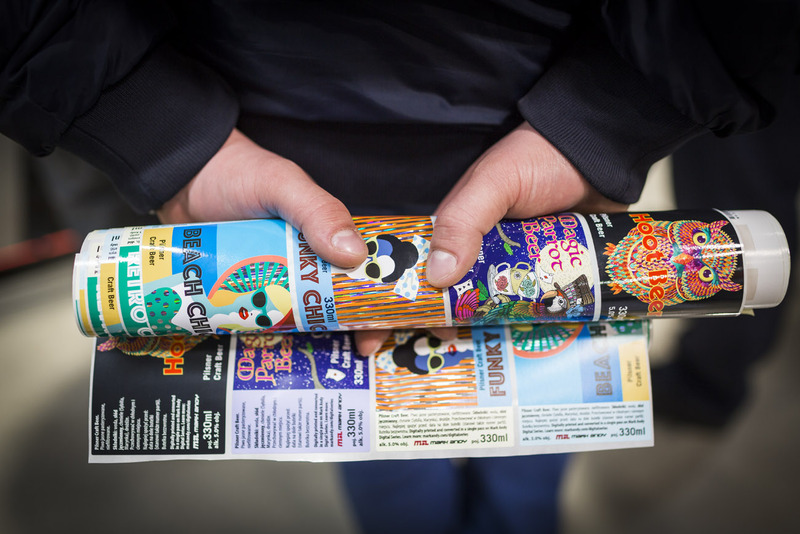 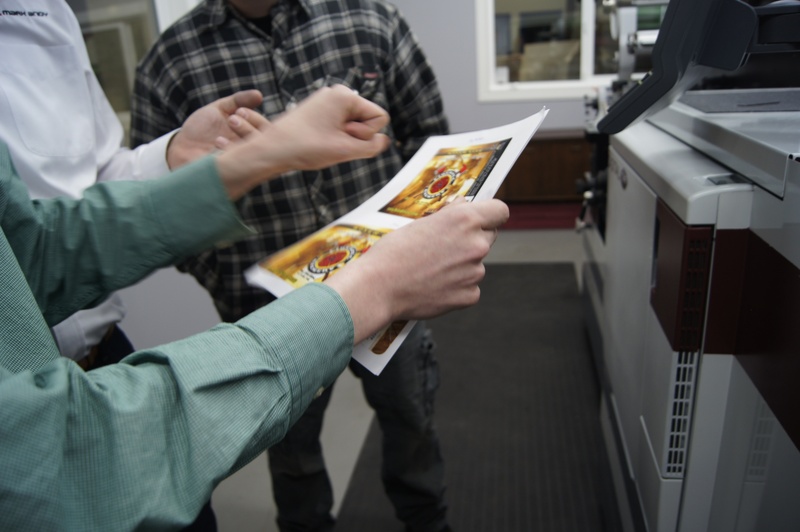 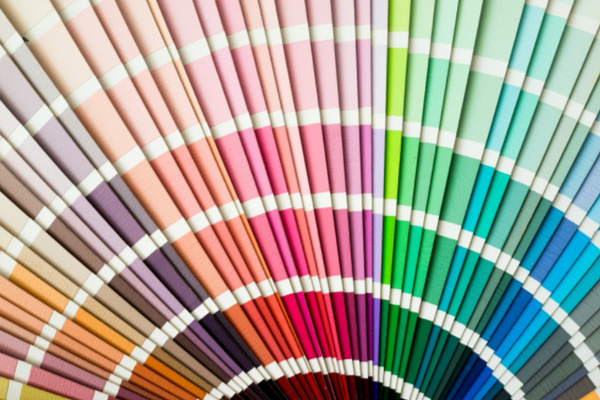 Expanded gamut is a hot topic in the printing industry. 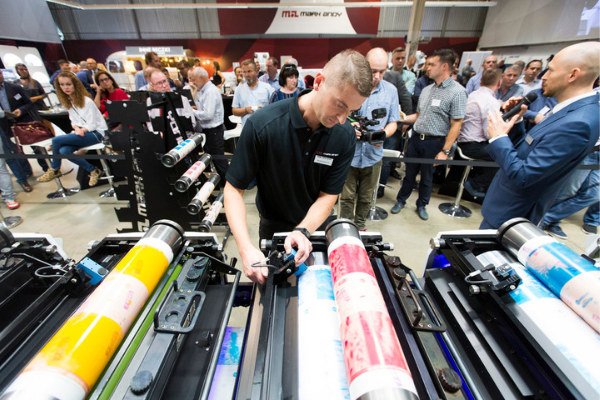 Whether its flexo, digital, or hybrid technology, a lot of people have a strong interest in the matter. 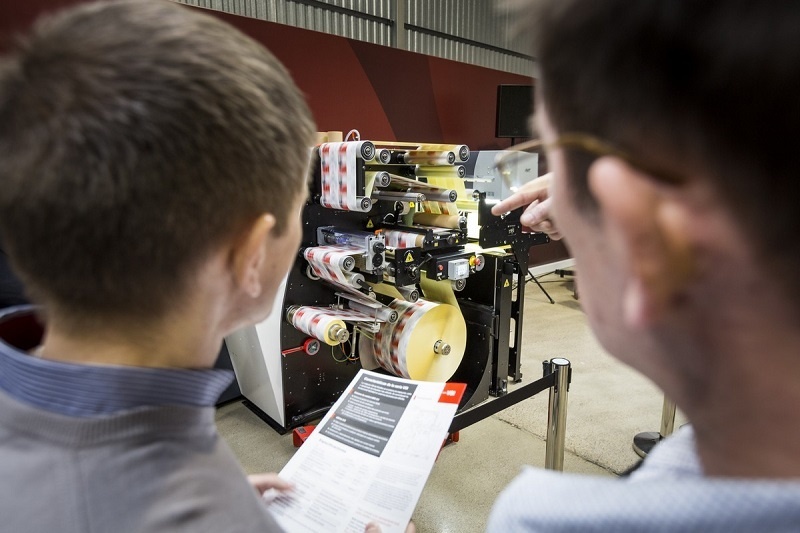 This is the primary reason why so many label press manufacturers, including Mark Andy, have developed technology to support it. 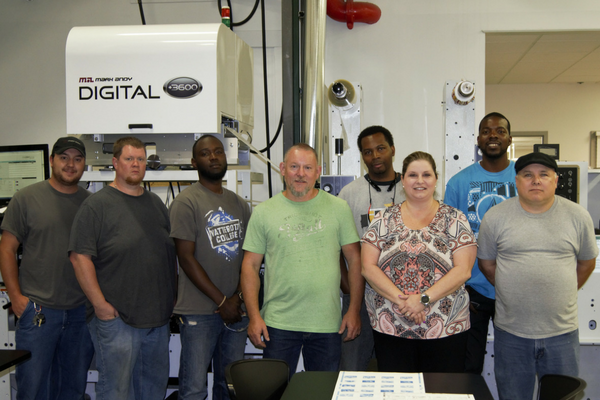 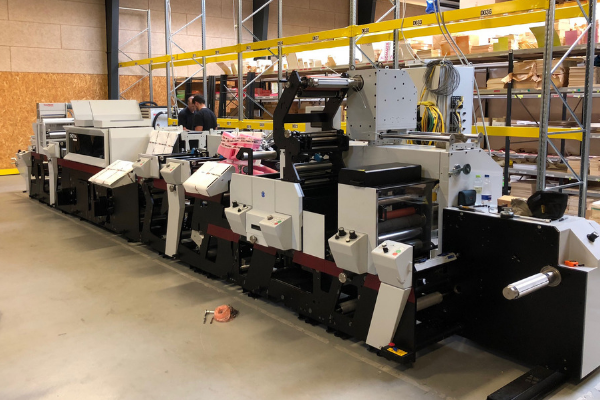 North Carolina prime label printer, Imprinting Systems, has seen an increase in productivity after the acquisition of a Mark Andy Digital One. 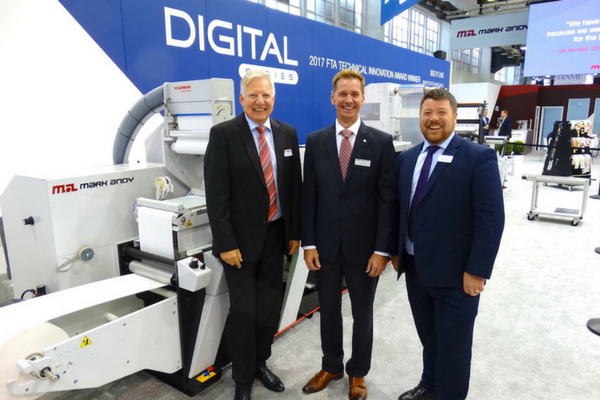 The Mark Andy stand at Labelexpo in Brussels marked a significant highlight in the cooperative partnership between the American narrow web press manufacturer and the Danish pioneers of surface treatment. 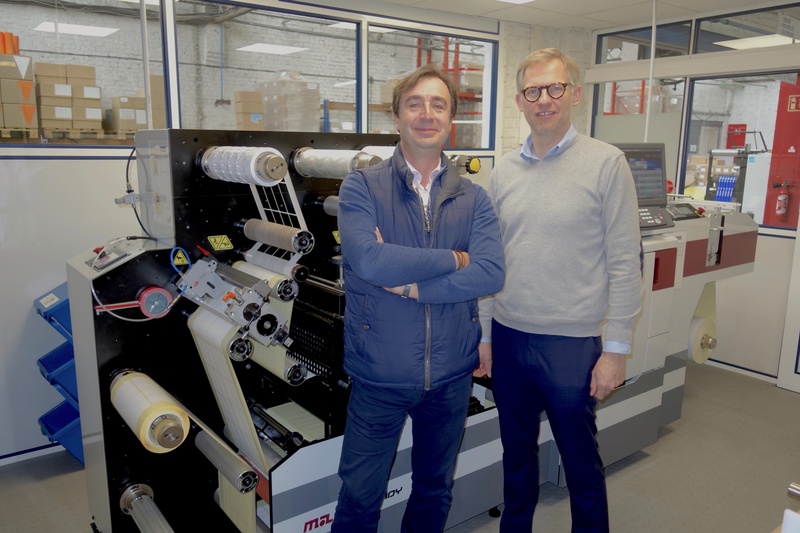 Family-owned label operation Primera Polska has invested in a Mark Andy Digital One label press. 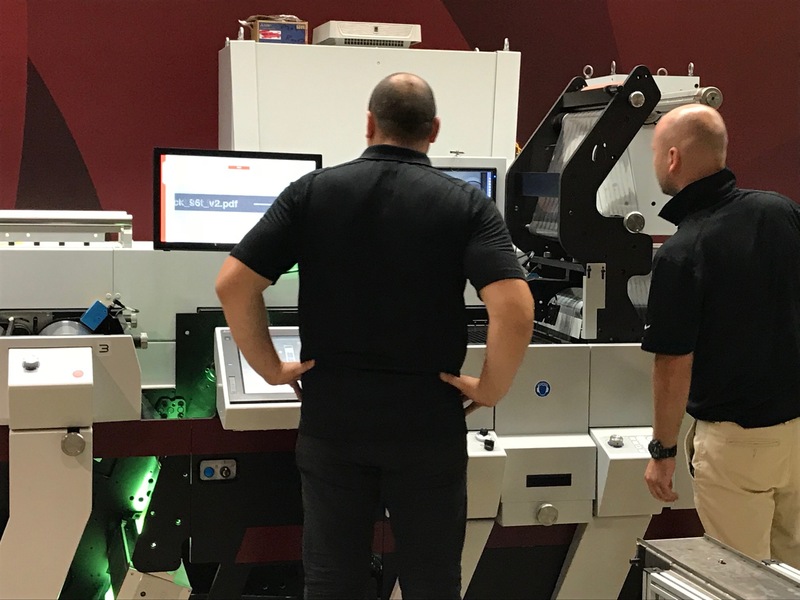 The unit has been installed in Primera's Zory production facility, which is located in the southern region of Poland. 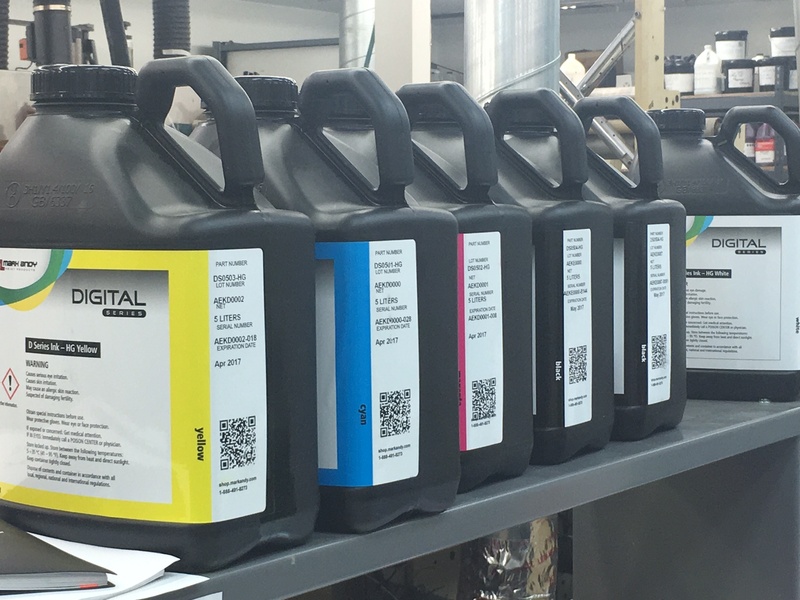 Mark Andy Digital One, a CMYK dry-toner device with inline decorating and converting, has successfully received the BS5609 certification on Avery Dennison substrate. 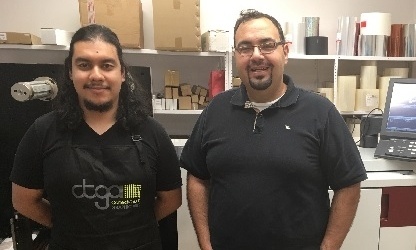 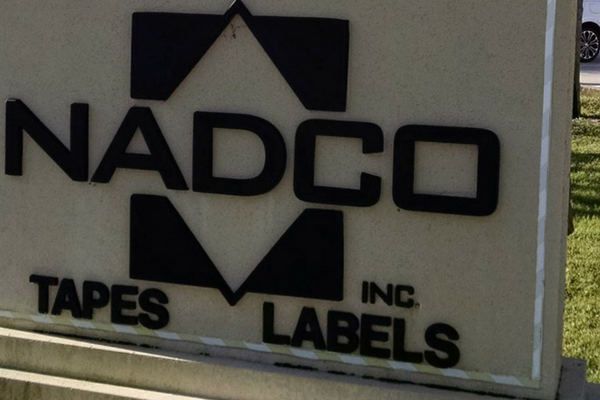 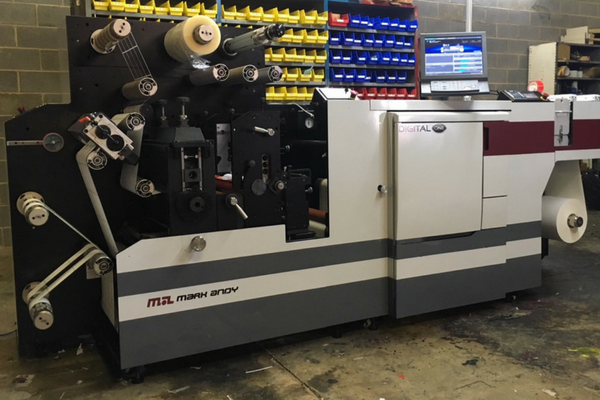 Custom adhesive specialist Nadco Tapes and Labels has added digital capability to their business through the acquisition of a Mark Andy Digital One. 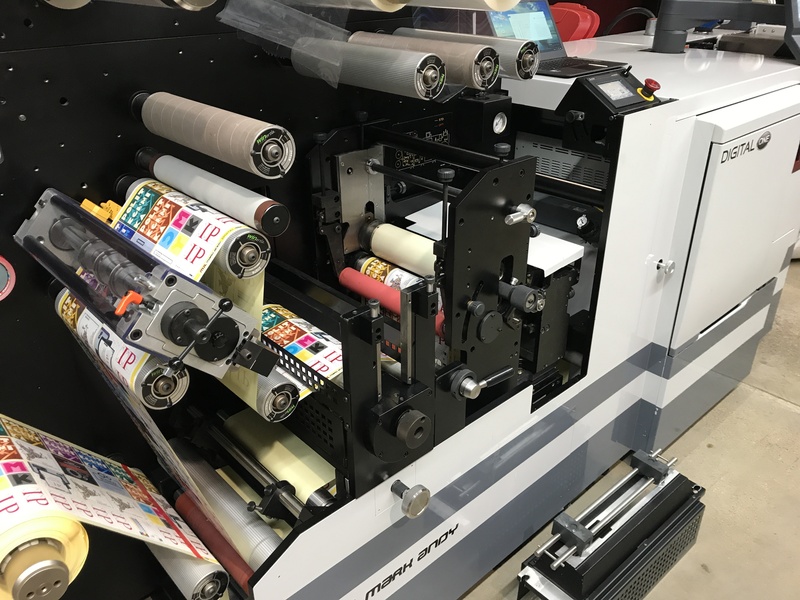 Pressure sensitive label and hang tag manufacturer Labels Unlimited has recently installed a Mark Andy Digital One in a push to bring digital label production in-house. 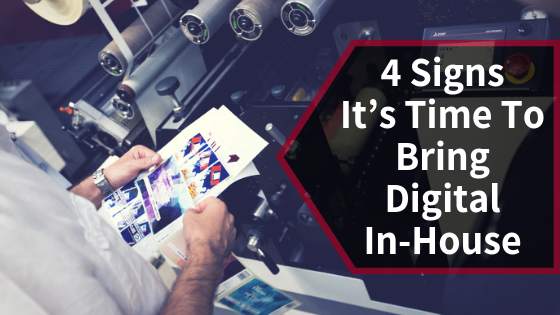 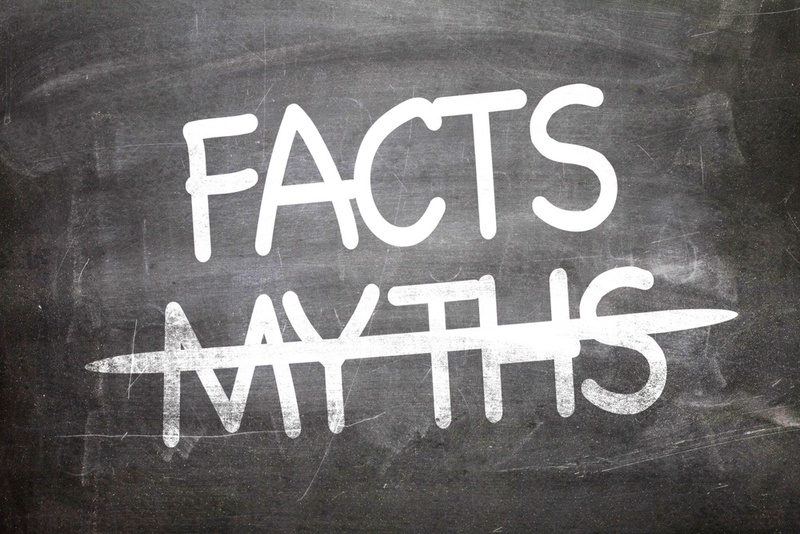 When it comes to adding digital to the mix, there seems to be a few lingering misconceptions about the technology. 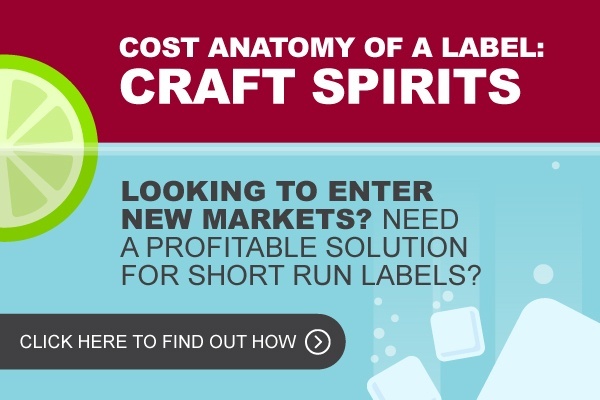 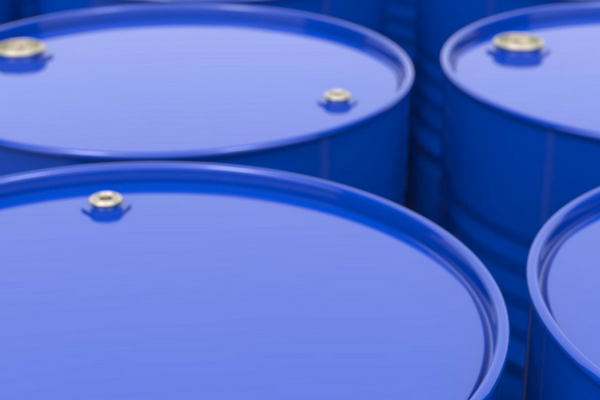 Because of this, conventional label converters have a lot of questions. 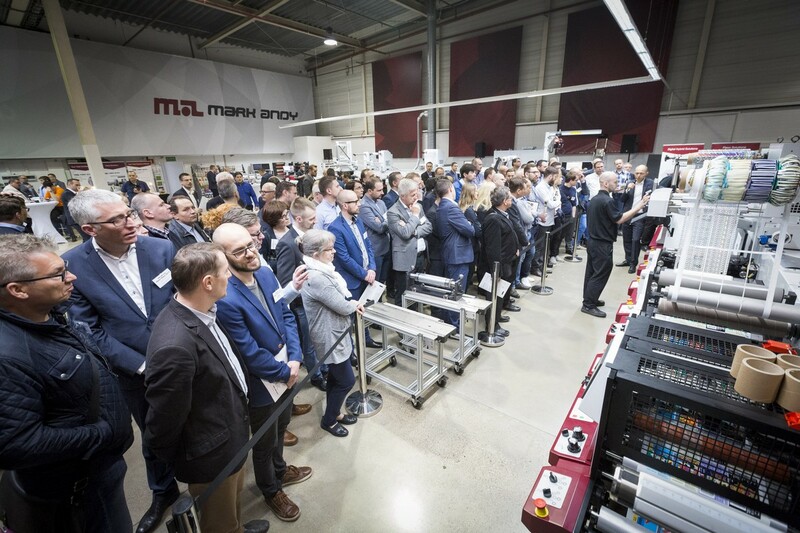 Świat Poligrafii sat down with Tom Cavalco, Managing Director for Mark Andy EU, to discuss the company’s recent open house and success in the Polish market. 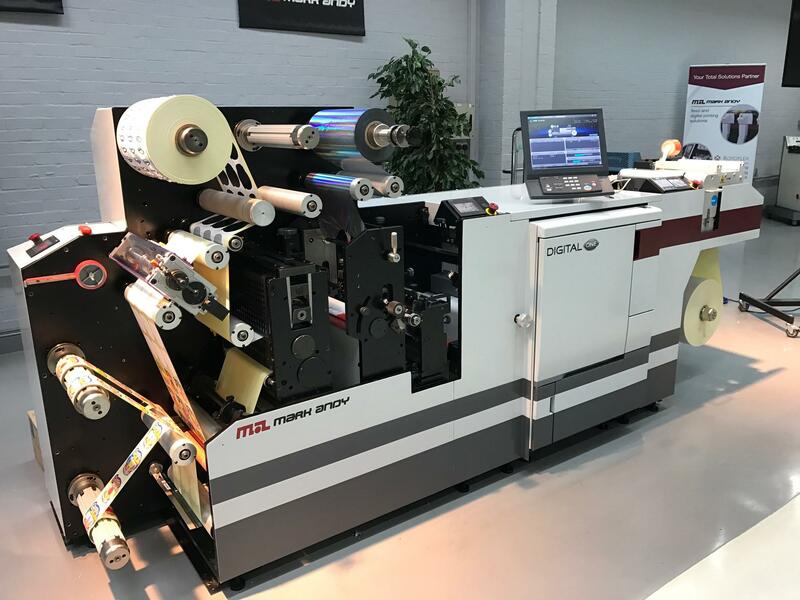 In a move that is highly strategic for its trade printing business, Dublin based JR Labels has installed the first Mark Andy Digital One label press in Ireland. 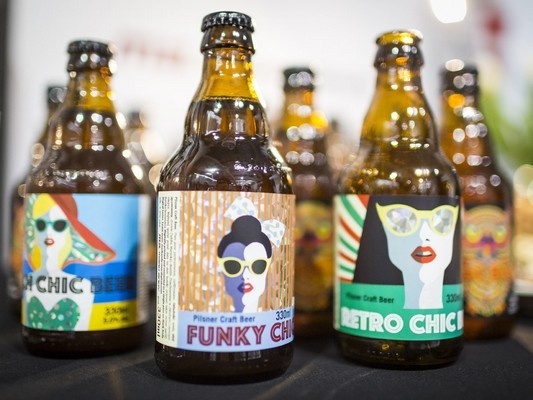 The craft beer market segment has grown steadily in recent years and doesn’t seem to be slowing down, making it a prime area of interest for label converters looking to diversify their portfolio. 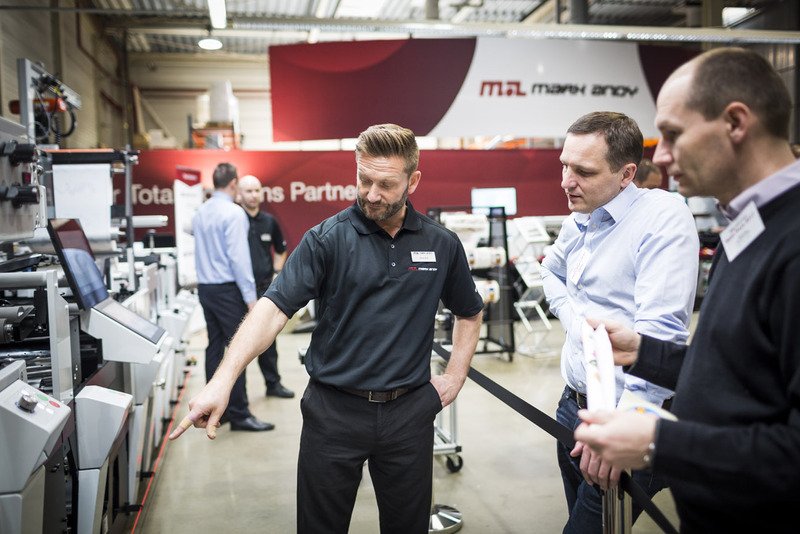 The Importance of a Partner is a multi-part blog series written by Nat Davis, Digital Product Manager for Mark Andy. 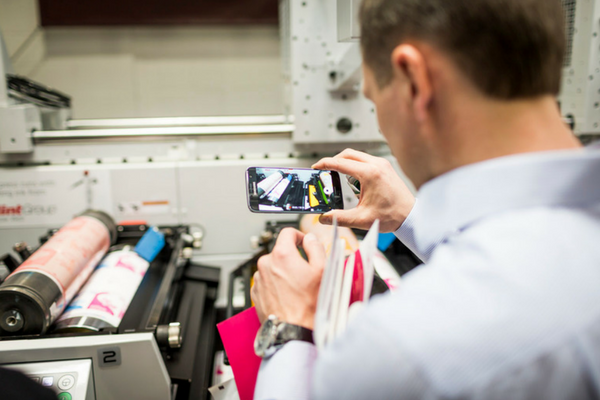 Below Nat examines the emergence of hybrid printing and how choosing a press provider can impact your business. 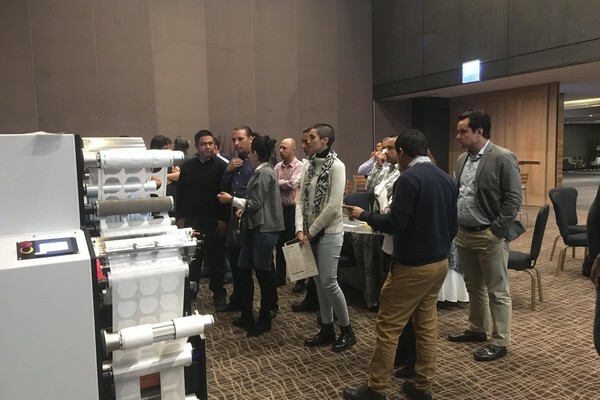 Every year we reflect on the changes in our industry, discussing how imperative it is to adapt in order to sustain relevance, growth and success. 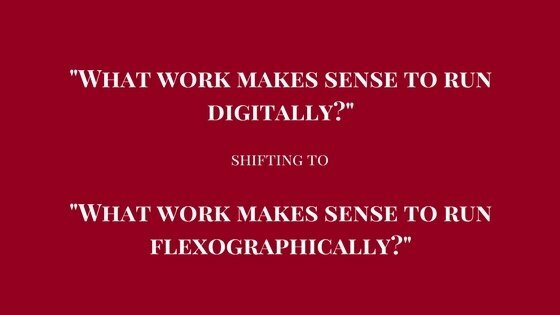 This year is no different. 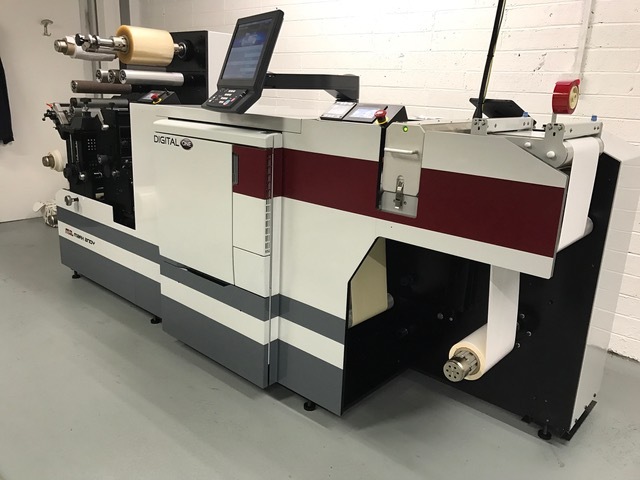 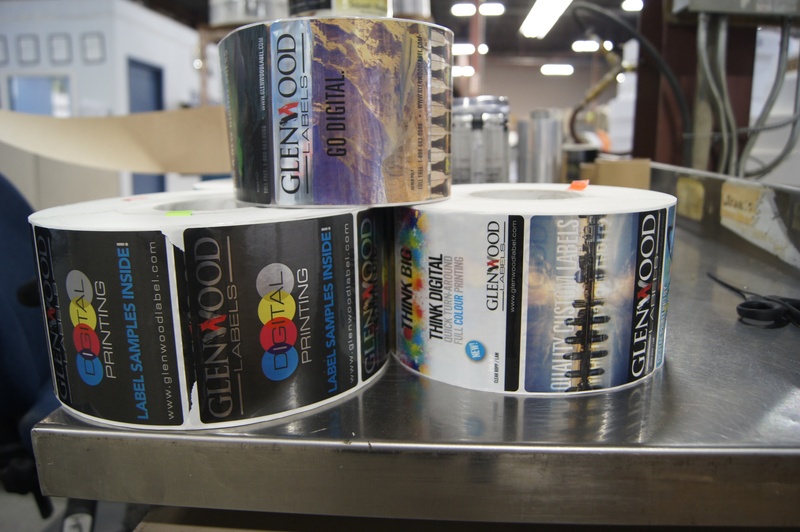 Glenwood Labels, a 40 year veteran in custom label printing, has seen immediate success with the addition of their first digital asset, Mark Andy Digital One. 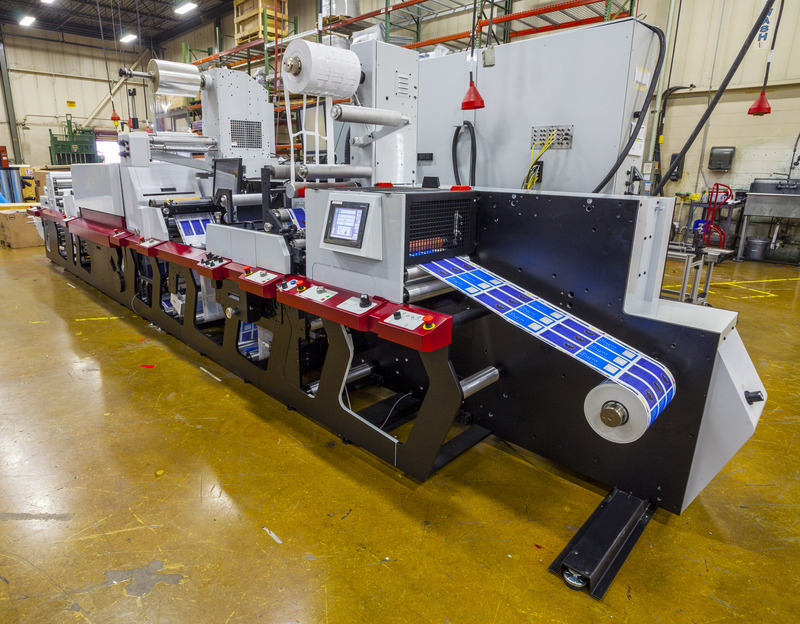 Flexo/inkjet hybrid proves clear winner by reducing two shifts work to one. 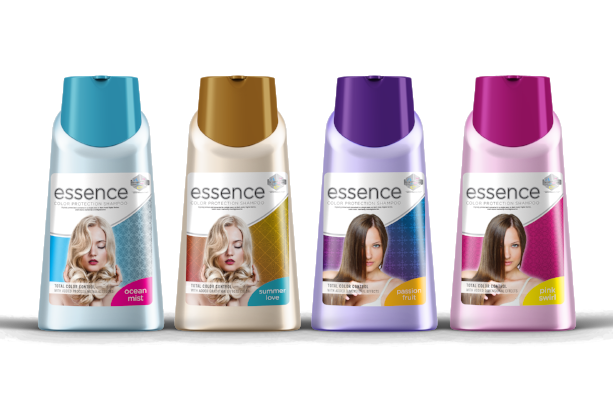 We all know attention grabbing packaging helps sell a product. 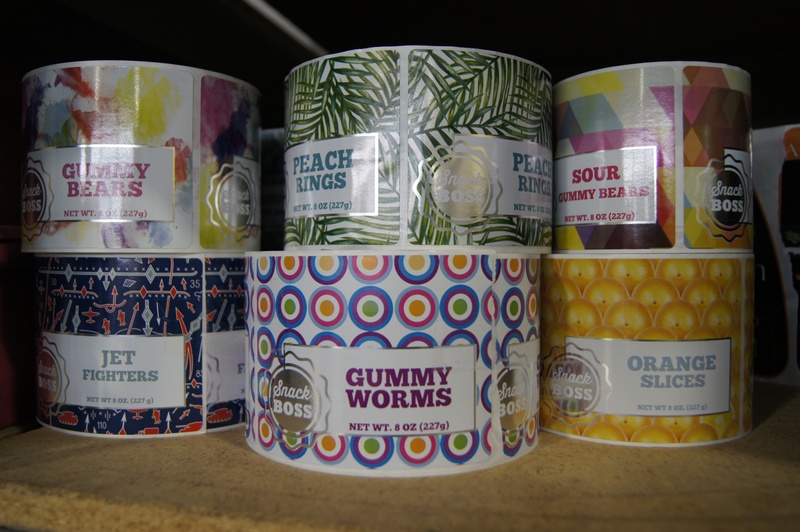 In fact, most people have at one time or another purchased a product based on packaging alone. 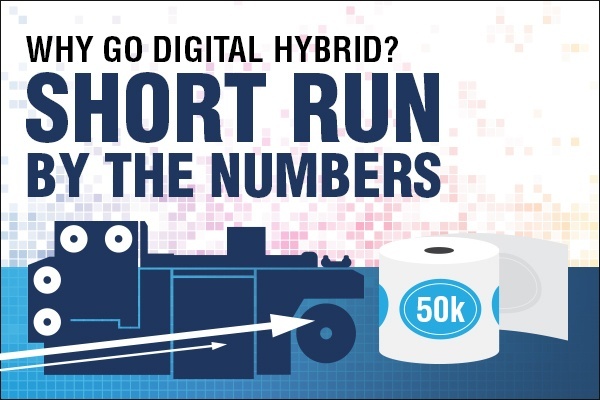 I know I’m guilty, on more than one occasion. 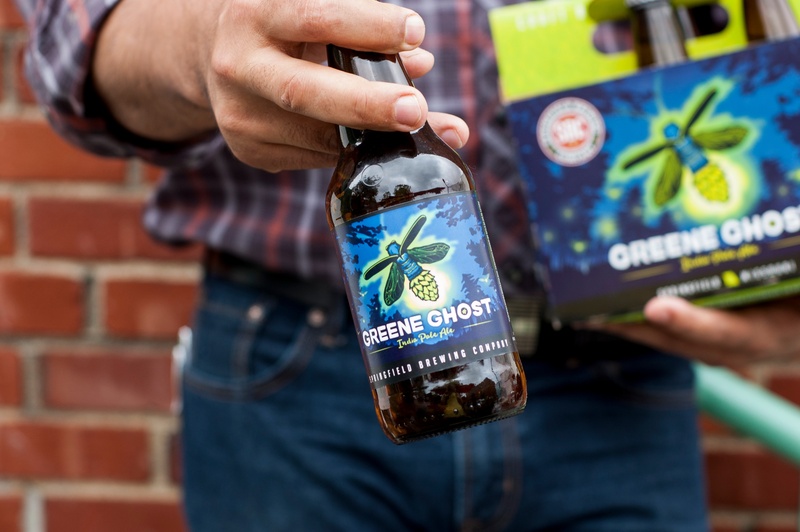 One of the primary drivers of the purchase decision process is packaging, and beer is no exception. 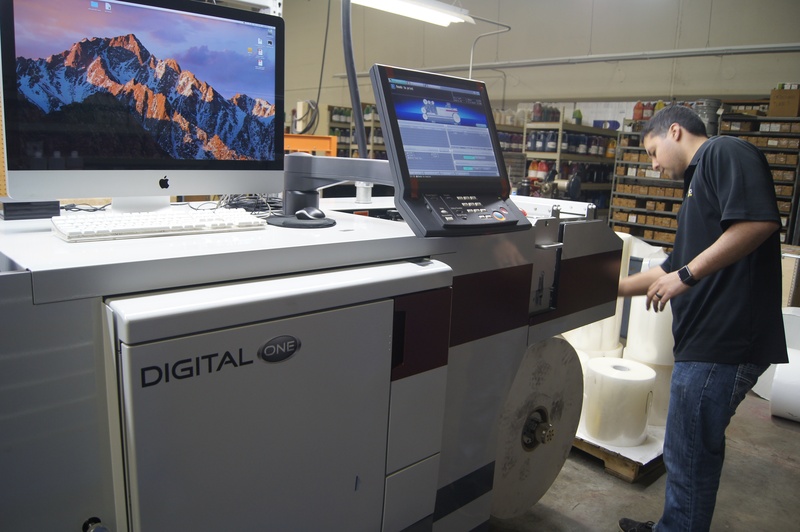 Blair Labeling, a pressure sensitive label converter based out of Colorado, has experienced success with Mark Andy’s latest digital hybrid innovation, Digital One. 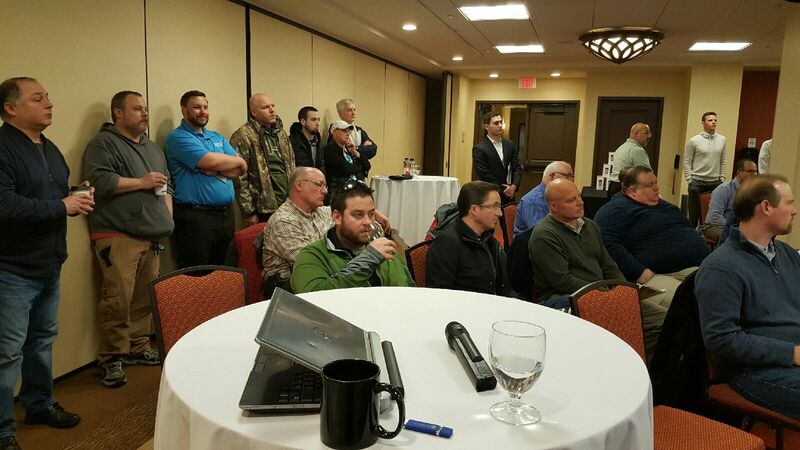 Mark Andy hit the road again last week for the Midwestern leg of our 2017 Digital One Roadshow Series. 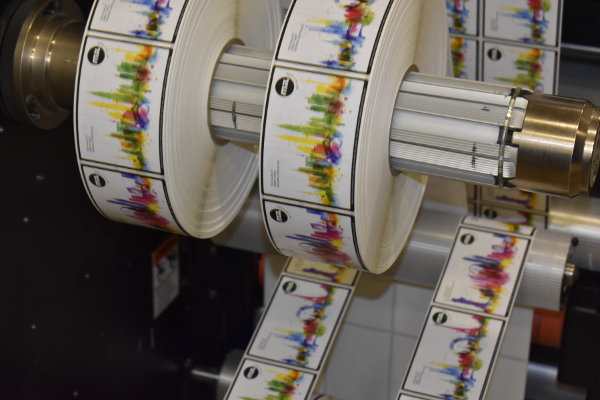 Industrial Print speaks with Ray Dickinson of Mark Andy about the impact and future of digital in the label market. 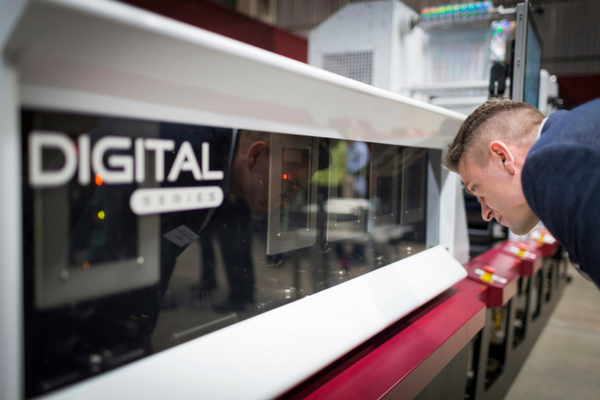 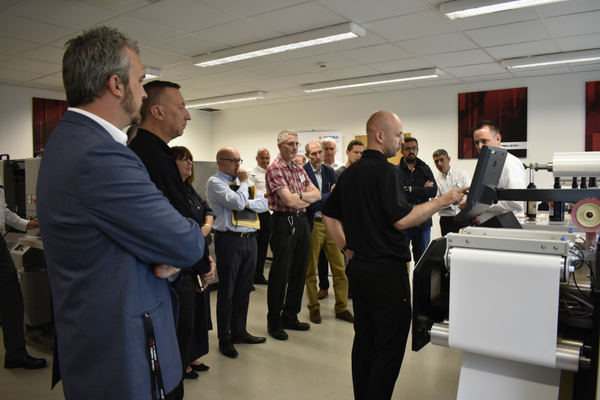 Last week Digital One made its European debut at our United Kingdom facility as a part of the 2017 Digital One Roadshow Series. 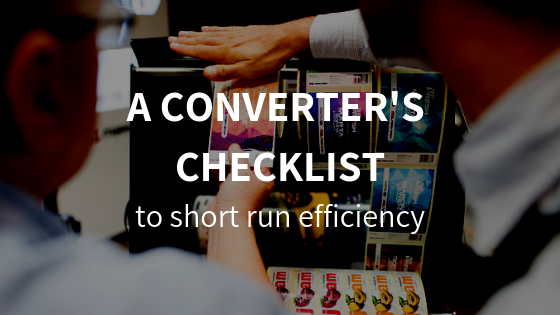 More and more we hear converters talk about the pains of running short (and even micro!) 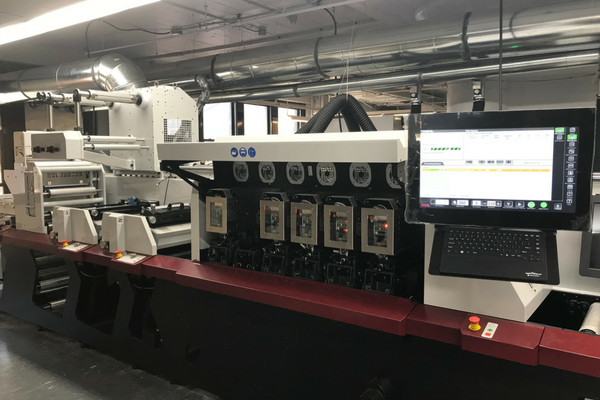 runs for customers on traditional analog presses. 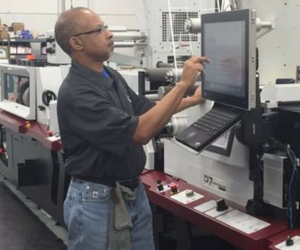 The highly productive solution is producing twice the work in half the time compared to the existing technology. 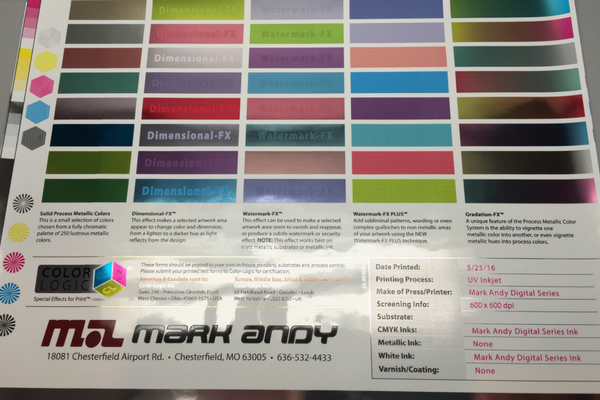 Mark Andy, a global leader in narrow web printing and converting solutions for the last 70 years, is proud to announce the successful UL 969 certification for Digital Series ink on Avery Dennison substrates. 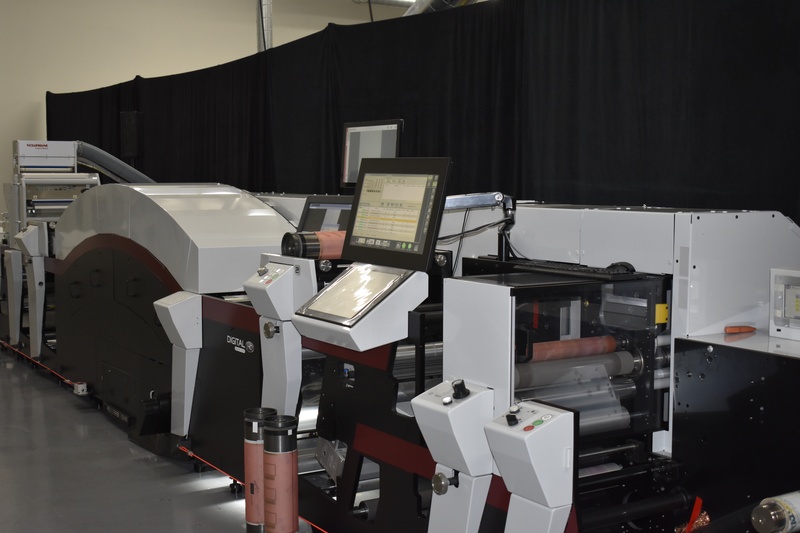 New offering makes digital printing more accessible to the everyday converter. 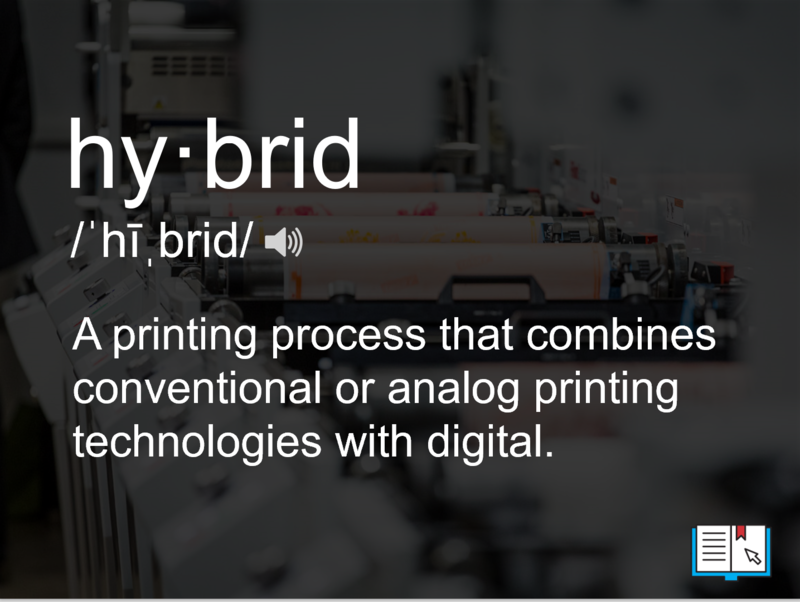 The term 'hybrid' has been bandied about a lot in the last year and it covers a wide range of options when it comes to merging analogue and digital production methods.